Careening through wide turns along I-80 West, the highway landscape quickly trades out stacked Brooklyn buildings for a smattering of trees that blur in color alongside the interstate. It’s tough to tell who’s who inside one of the two busses propelling against the pavement; press and artists seated together in a scattered assemblage of designer clothing, tangled headphones and sunglasses glinting against the sky. 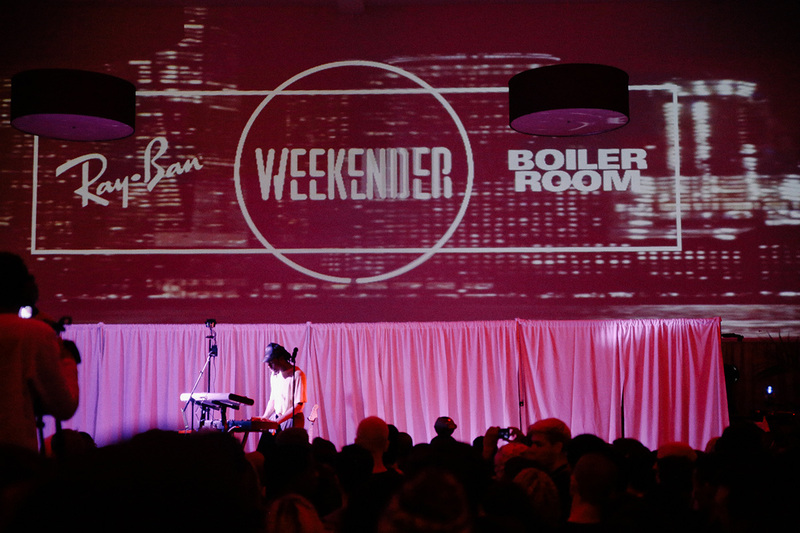 Boiler Room, the London-born broadcasting platform that’s hosted shows in over 100 cities around the globe and livestreams performances regularly to hundreds of thousands of music fans has provided heaps of intimate music performances sought the world over. 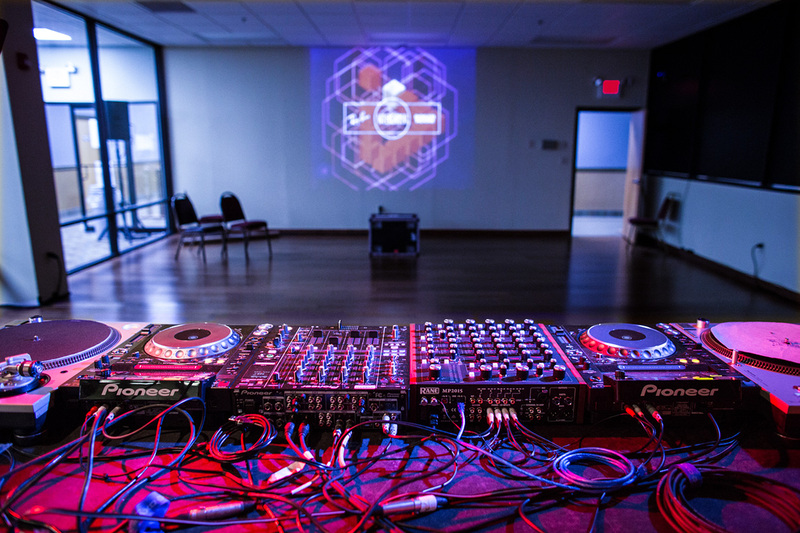 But this collaboration, a radical albeit remote “2-day music getaway” would help to further Boiler Room’s meteoric rise in the world of music broadcasting slash curation as well as their expansion into more challenging terrain. Featuring a massively eclectic showcase of around 90 artists, acts ranged from Blood Orange to Virgil Abloh, Kamasi Washington, Totally Enormous Extinct Dinosaurs, Ta’East, the Soulection collective and many more. Boiler Room’s founder, Blaise Bellville, selected an approach to curating the extended event which provided a refreshing alternative to traditional and often predictable “big ticket” festivals, favoring a more holistic approach toward gathering creatives and pushing the envelope on what collective experience can offer in the first place. 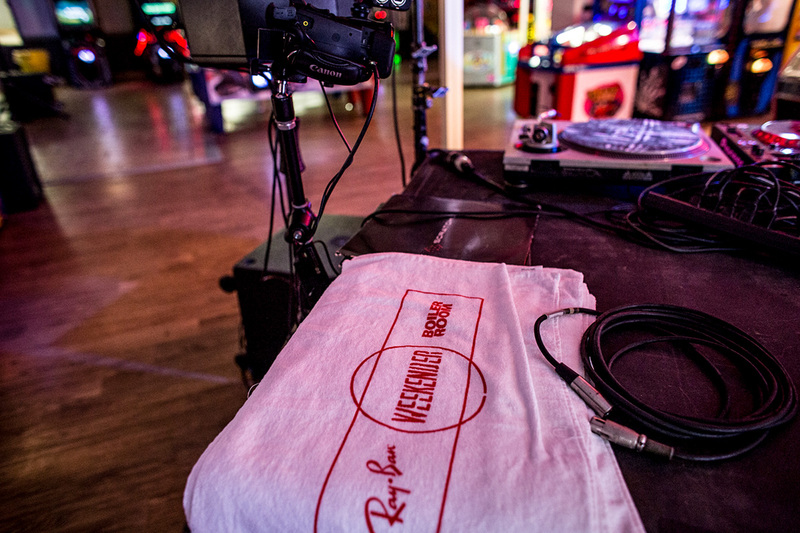 In fact, just days before the event was set to launch, Boiler Room publicly announced their partnership with Inception,“a creator of high-quality, immersive VR content, to launch the world’s first VR venue, designed and built entirely to film music events in virtual reality.” While the Weekender may be Boiler Room’s current foray into a comprehensive festival experience, it’s clear that they’re also poising themselves to be on the crest of the entertainment revolution just as the wave breaks. 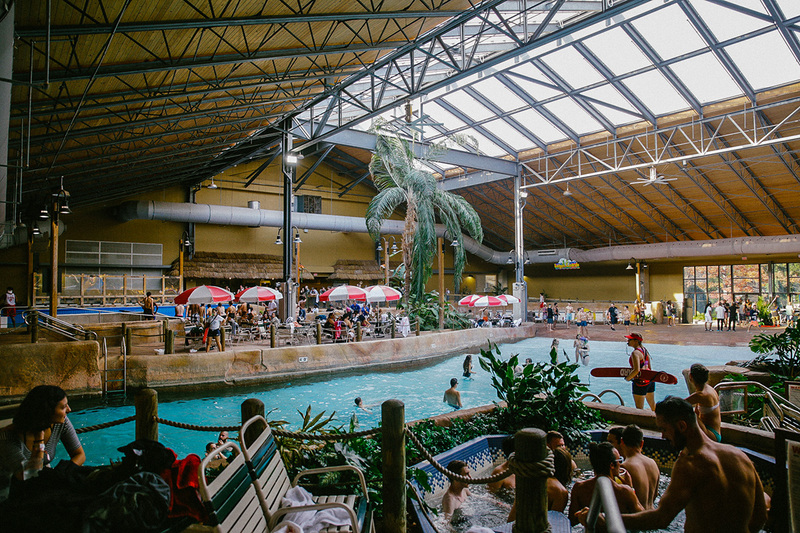 Split Rock Resort in Lake Harmony, Pennsylvania, provided an atypical backdrop of icy-cold mountain air and deeply wooded stretches for an event that felt as if it could have just as easily spread across a few lush acres in any European country kind enough to host legions of adoring fans. But as opposed to star-studded festivals like Belgium’s Tomorrowland or the UK’s Glastonbury, which depend on Billboard-centric headliners to sellout tickets, the Weekender emphasized immersive experience, fitting heaps of DJs and a mainstage neatly alongside glimmering game rooms, free-flowing bars, a virtual reality viewing station, an in-house movie theatre and oh yes, a water park to boot. 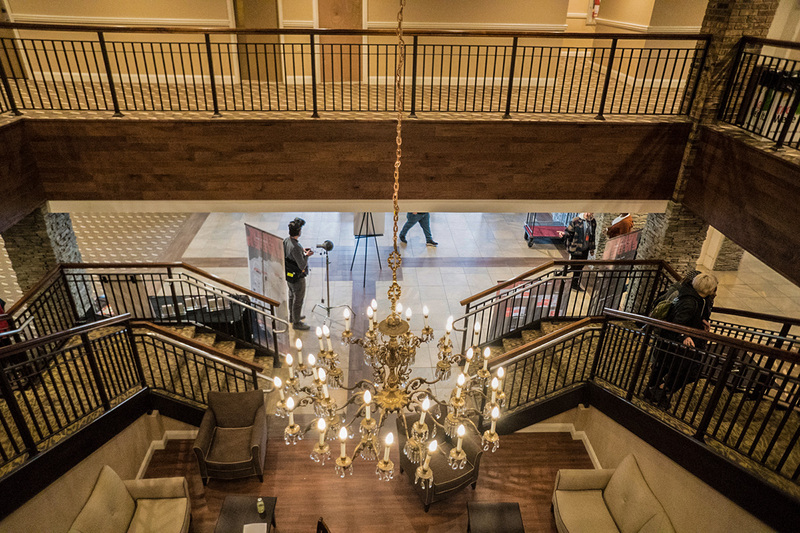 Weekender utilized practically every room, lounge, hallway and staircase amid the sprawling Split Rock Resort to accommodate 3,000 attendees, swirling together in a sustained, boozy frenzy that eventually began to elicit a sort of unspoken camaraderie amongst attendees. A late night stroll down the endless hallways and myriad of ballrooms of the resort seemed to borrow equally from The Shining and Enter the Void, each footstep surreal like a trip inside some sort of neo-psychedelic hotel where bass thumps perpetually through the walls. Those long walks rendered some of the most hilarious moments of the outing, where you’d be just as likely to bump into the friend you came with, as André 3000, who our photographer Yinka Soda actually managed to stumble into (yes, we mean literally, stumble). Later on, after snagging a bit of highly coveted one-on-one time with Kanye West’s creative director, Virgil Abloh, we watched him perform with Ta’East, who previewed tracks “72-10,” “WithTheSh*t” and “Light The Way” off of his new EP (which drops on December 2nd). Ta’East describes “Light The Way” as “a dark anthem with heavy drums” and led by long pulls of guttural bass, the track comes across with profound authority when performed live. 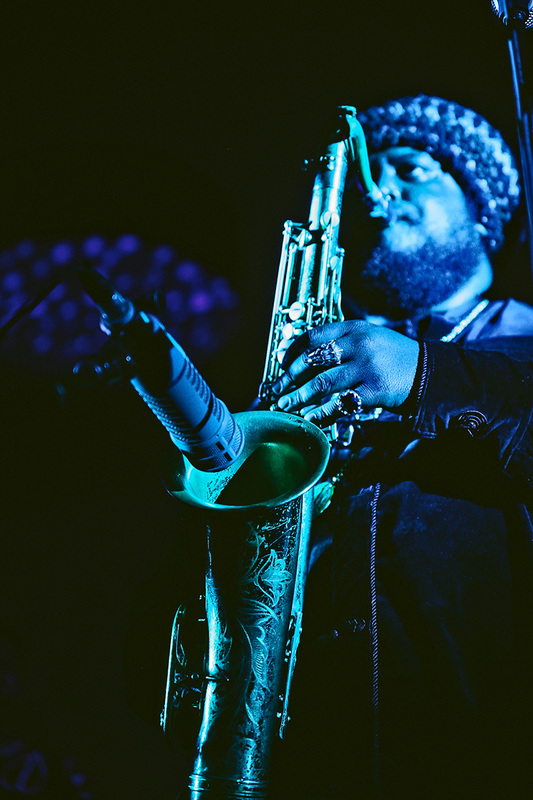 That same night, Kendrick Lamar collaborator Kamasi Washington, took the Keystone Ballroom stage to perform smooth jazz that billowed with flawless coordination, including the soulful crooning of an accompanying vocalist and sharp jabs of saxophone peppered throughout the performance, setting a high-water mark for the evening. The next day, alongside a pool that sparkled under a sun-drenched skylight, Dre Skull, founder of Mixpak Records, performed feel-good dancehall in the blissful moments leading up to Soulection’s showcase. Soulection’s showcase was brimming with elite DJ talent, featuring performances from Joe Kay and Sango, as well as a standout set from The Whooligan who awed the crowd with ecstatic moments like “Nasty’s World” from A$AP MOB‘s recently released Cozy Tapes Vol. 1: Friends. Later that night, it was acclaimed singer-songwriter Dev Hynes aka Blood Orange entering the limelight with feverish runs on a cello about two-thirds his size. Against a purple, iridescent backdrop and sandwiched between two perfectly synchronized dancers, Hynes belted “Champagne Coast” and a wide selection of cuts directly from 2016’s Freetown Sound. His set seemed to end abruptly however and the multi-instrumentalist savant appeared to leave the stage as quickly as he came. Despite being cut short and sadly reminding us that rural police officers really don’t understand music or culture the way they do chewing tobacco, Ray Ban and Boiler Room’s Weekender still turned out to be a wildly successful venture overall. The event proved to be a courageous advent toward both the experiential and immersive as the next, perhaps inevitable, frontier of music entertainment.